It’s the Gundersen Method, in recent years a component of the rules in Modern Pentathlon and Nordic Combined that heightens—at least in the estimation of many who follow those sports—drama. 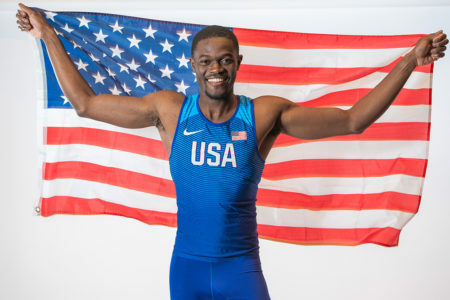 Few in track & field had heard of the thing before a brief December announcement from the IAAF that it will rejigger the format for the multis at the ’20 World Juniors (U20) to incorporate Gundersen finishes in the deca 1500 and hept 800. How would that work? The multis’ final races will employ handicap starts based on point differentials after the javelin comps. 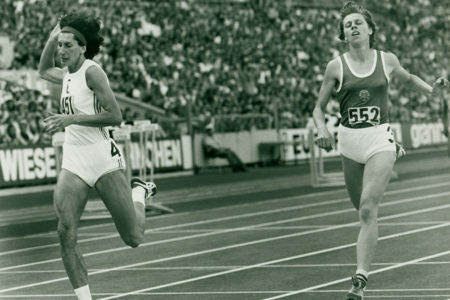 So the leader after the penultimate event starts first, the rest at intervals determined by a points-to-time conversion and first athlete across the line wins with finish order in the 1500 and 800 determining overall places. Spectator confusion might be the answer. Set it up so your eyes will tell you the order of finish and you may pay more attention. But let’s look at some hypotheticals based on past decathlons. While the IAAF has not yet specified the formula it will use to handicap starts, it’s reasonable based on the existing 1500 scoring table to assume a conversion somewhere in the range of 5.8–7 points per second for the men’s multi. For a 5:00 time in the 1500 each second is worth about 5.8 points and for a 4:10 time, each second is worth about 7. The mean ratio in this range is about 6.4, as good a ballpark figure as any for analysis. Now take Kevin Mayer’s World Record 10-eventer in Talence last September. Under the Gundersen Method, the French star’s 831-point lead (assuming the 6.4 formula) would have seen him start 2:09 ahead of Tim Nowak, who held 2nd after 9 events. Where’s the drama in watching Nowak “chase” from nearly 2 laps behind? 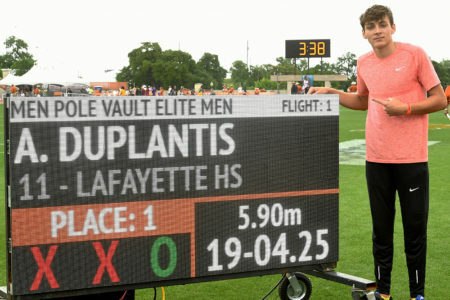 Vasilis Grammaticos, a research scientist who equates Gundersen with folly for the multis, has noted that Florian Geffrouais, the 11th-placer at Talence would have started his 1500 after Mayer’s finish. How would that spectacle—9 decathletes setting out to run 1500s with Mayer 2 or more laps into his—make the event any easier or engaging to follow with the eyes? Then there’s the not-small technical side of things, where not only does a complicated multi-start system need to be invented, but there’s also the not-inconsequential matter of traffic management involving lapped runners. Particularly indoors, where the start and finish are the same lines (as is the outdoor 800), but with fewer lanes free for queuing up. And what might be the consequences for recordsetting? 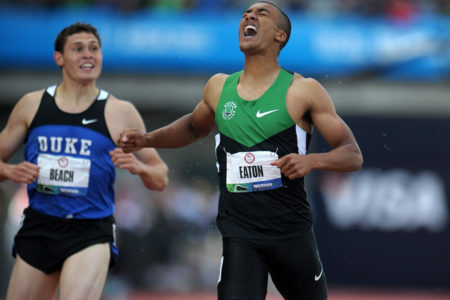 Well, think of Eaton’s first World Record, at the ’12 Olympic Trials. He needed to PR by 2.71 seconds in the 1500 (4:16.23) to break Roman Šebrle’s standard. In real life, with faster 1500 men to chase on the last lap, he had “targets” to chase and unreeled a spectacular 4:14.48 race. Could he have done so running all alone out front? Who knows? True, runners starting after Eaton’s first, second and third laps might have paced him along as he drew near but what of their own races? Would the spectators have been more jazzed? Harry Marra, Eaton’s longtime coach, says of the OT World Record, “I think there were 21,000 people sitting in the stands or something like that. 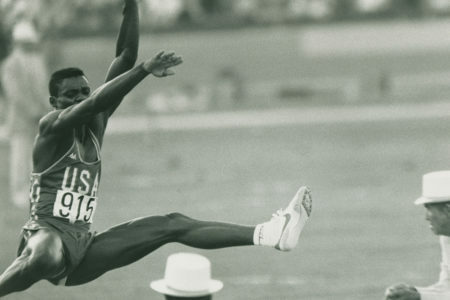 Every single person sitting in those stands, because of the introduction and the verbiage that [announcer Frank Zarnowski] applied before the race, saying that Ashton had to run this fast to break the American Record, he has to run this fast to beat the rest of the field, he has to run this fast to break the World Record, they were all aware of that. “My point is these people who made up this rule saying that everybody in the stands wouldn’t know who was there, who was in 2nd, who was in 3rd and so on, I think it’s a moot point. 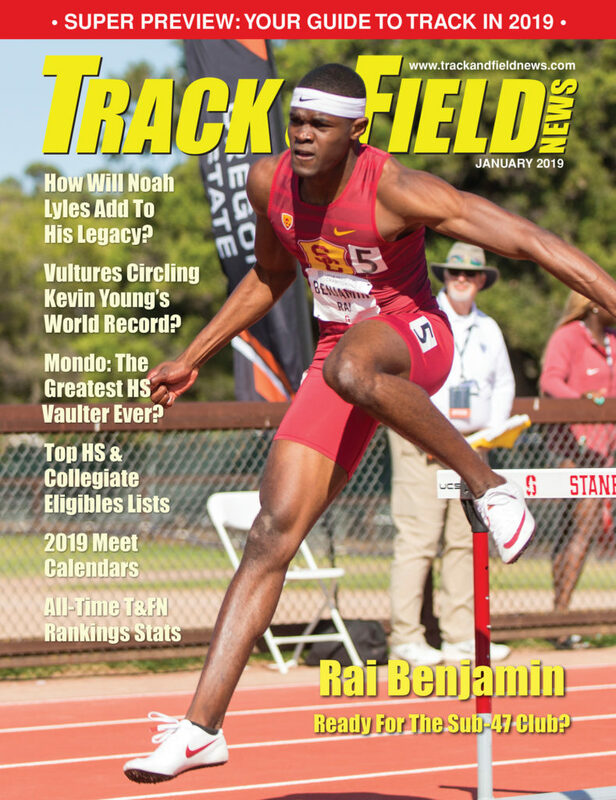 If you have a good announcer for the multi events, or any events in track & field, and you educate the people before the race, it’s a done deal. “And the other end of it, I’m a traditionalist. I’m an old-time 1950s guy, I like tradition and I don’t see it as a big thing. It annoys me that sometimes these committees come up and make these rules changes and they never contact anybody who’s involved in the event—coaching-wise or athlete-wise—before they make them. I think that’s really a slap in the face.” That’s the coach of a two-time deca WR-setter, a giant in the multi-events world, speaking. Gundersen scoring may not solve many problems (or “problems”). 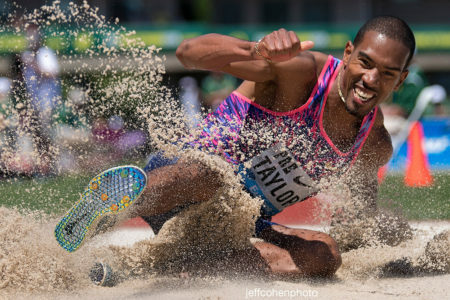 It seems, though, it has created one by end-running around outreach to top athletes and coaches, a gripe also recently raised by big-name throwers Valerie Adams and Sandra Perković.